Stay on the wall and do as many zigzags as you can! Just tap the screen to change the direction of the ball. Try not to fall off the edges! 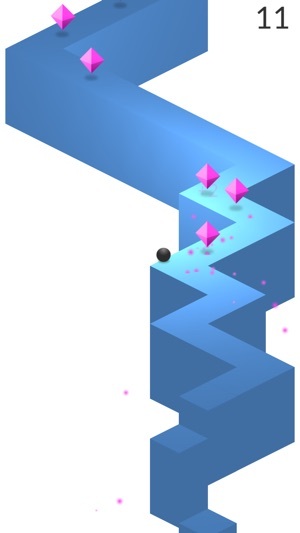 Zigzag is a very fun game I play almost everyday! Not only is it addictive and cool, but it's also a great time killer! Whether you have to wait at a doctors office, or play the game till you get tired and fall asleep, it's the best game to play if you want a challenge! 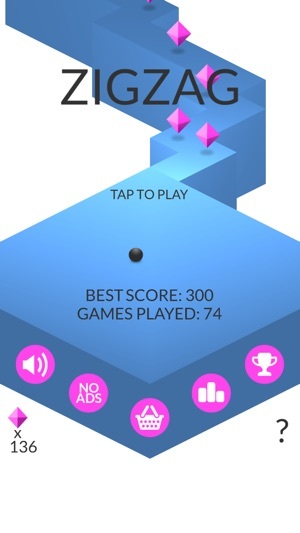 I just started playing and already have a high score of 79! This game is also great for a break at work or if you're just bored and hungry for a satisfying game. I think it's also great exercise for the brain and timing when you have to tap the screen to move the little black ball left to right. I encourage people to get this game because it's great for all ages who have an addiction to fun games like this one. 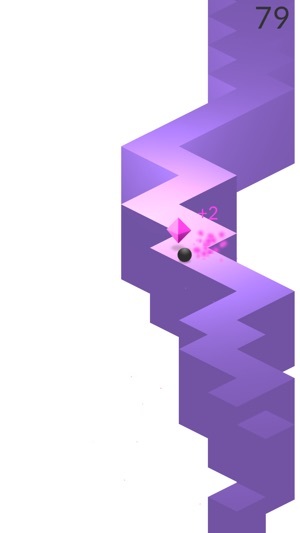 Another thing I admire about Zigzag is how the little ramp where the ball rolls on changes colors as you move on! It's very colorful and pretty. In my opinion, the best time to play is when you're curled up in the couch or in bed, recovering from a long, stressful day! I love relaxing and plying this game. The last reason why I love Zigzag (if I listed all of my reasons, this review would be the size of America) is because of the clean, fresh look. It may sound weird, but even the sounds he ball makes is nice and cool! 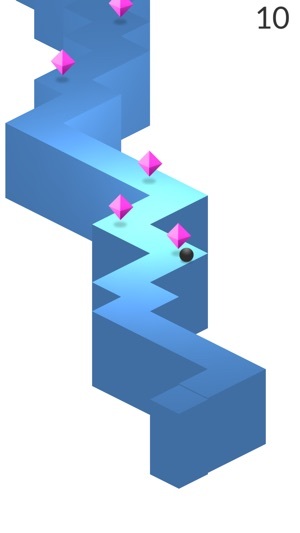 In summation, Zigzag is an excellent game, and another Ketchapp game I like is Trio, which also extraordinary! I absolutely love this game. It helps me deal with my stress and anxiety, and allows me to kind of decompose after a hard day. Sound effects are great. I love how it changes colors when you are getting more points, it adds to the overall visual enjoyment. The only issues are that ads tend to come up during game play. However, this only occurs when you open it after a couple hours or a long time and it occurs during the first round, in the first couple of points. This is a minor issue and doesn’t need resolving. Plus, airplane mode removes ads. No more problems, just a suggestion. 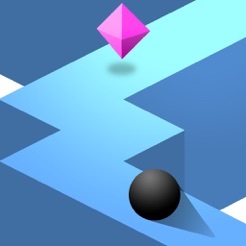 If the player could collect gems and spend them on power ups like being able to resurrect after a silly death or when they are really close to beating a high score, or having different balls, would be really cool. Overall, I think this game is fantastic and Ketchapp is a great game developer. They make great thinking and relaxing games, perfect for like 90% of people. Great game, I play it almost every day! Officially addicted! Keep up the great work!